where I've put tags on each of the stones so you can see where they're from. Margie Oomen from Resurrection Fern. 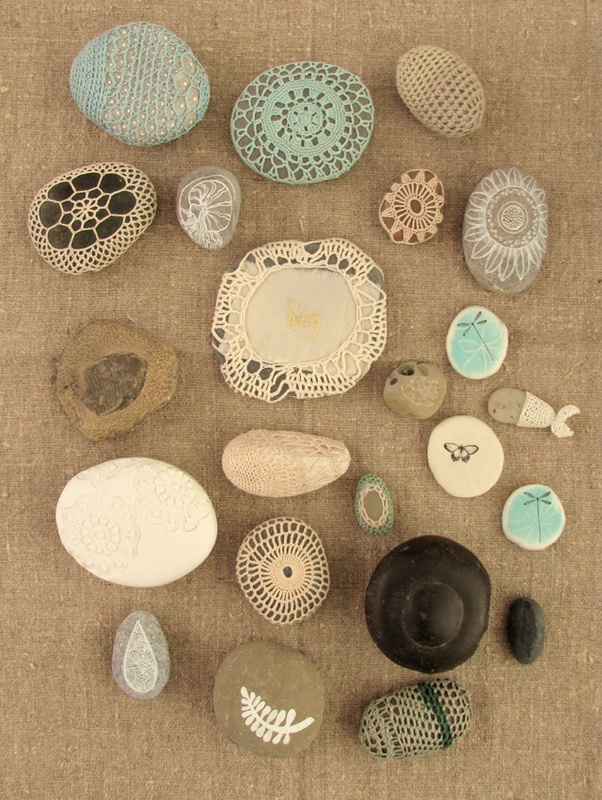 The little porcelain pebbles are from Manos by Karin Eriksson. The big white porcelain stone was handmade by Paula Valentim from Otchipotchi.